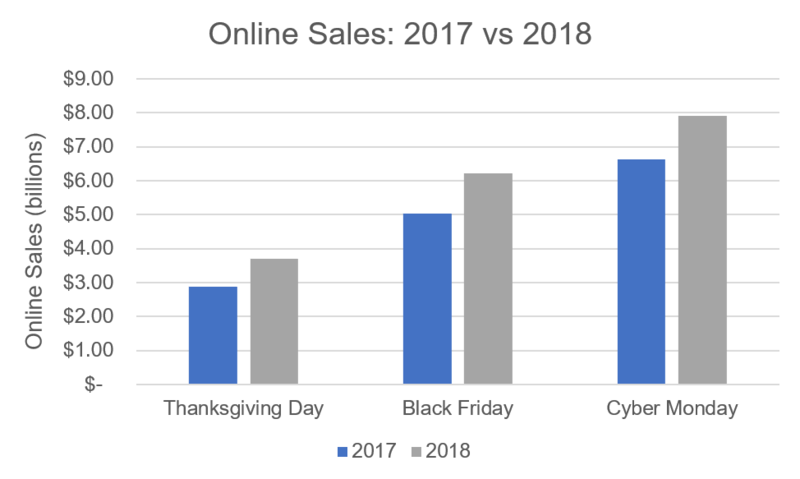 And unfortunately, many retailers couldn't handle the uptick in orders on Cyber Monday, leaving a plethora of frustrated shoppers. J.Crew's outage on Black Friday is estimated to have cost the company over $700k in sales. 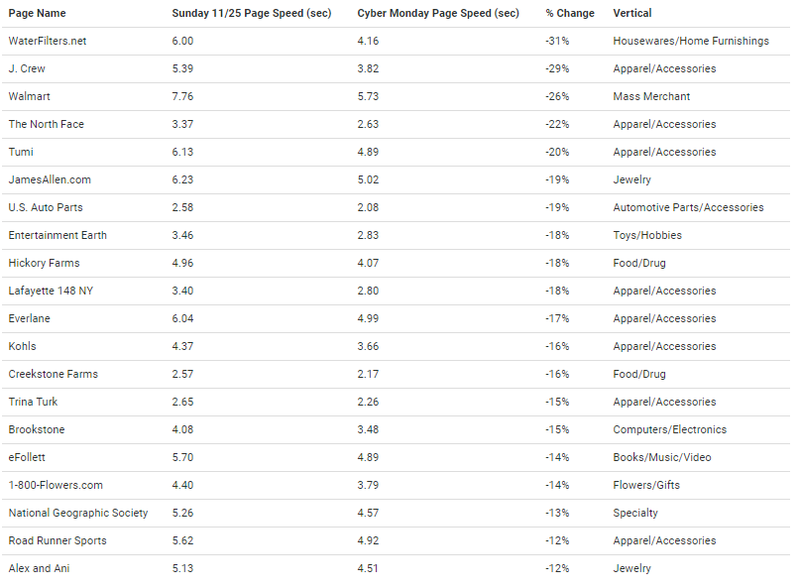 Collectively, the top 500 eCommerce sites slowed down by 8% on average between Sunday 11/25 and Cyber Monday. 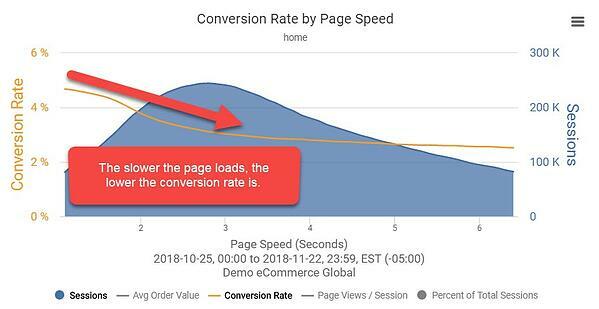 The IBM Digital Analytics outage that caused slower page speeds for many of their customers on Black Friday happened again on Cyber Monday. 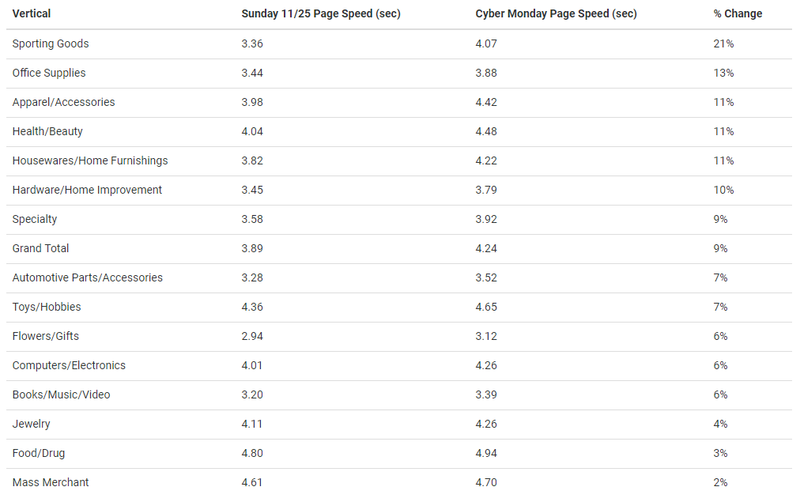 Every retail vertical experienced slow-downs between Sunday 11/25 and Cyber Monday. 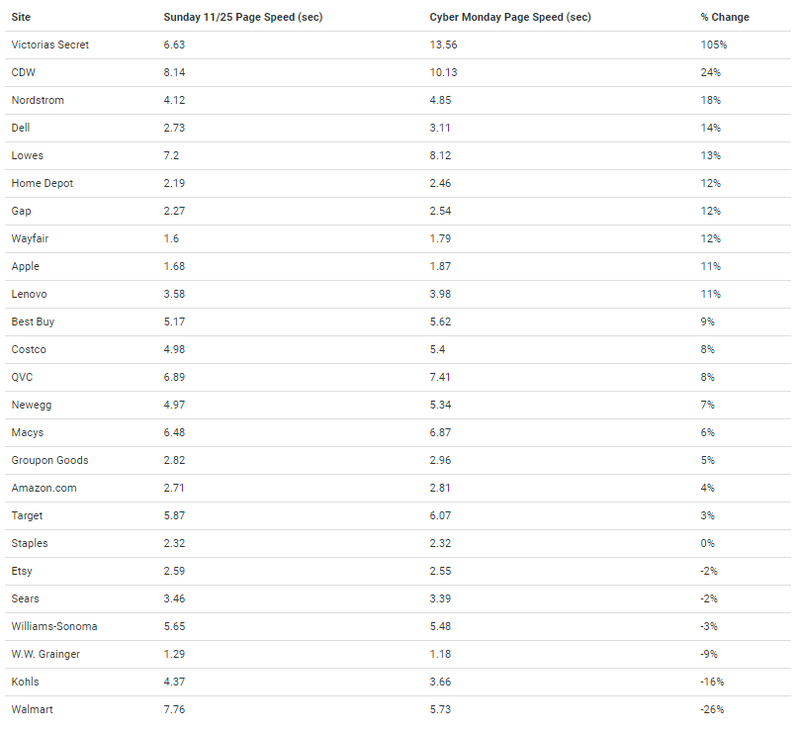 The nearly 7-second Victoria's Secret slow-down was due to the IBM Digital Analytics (formerly Coremetrics) outage that impacted their load time on Black Friday and Cyber Monday. 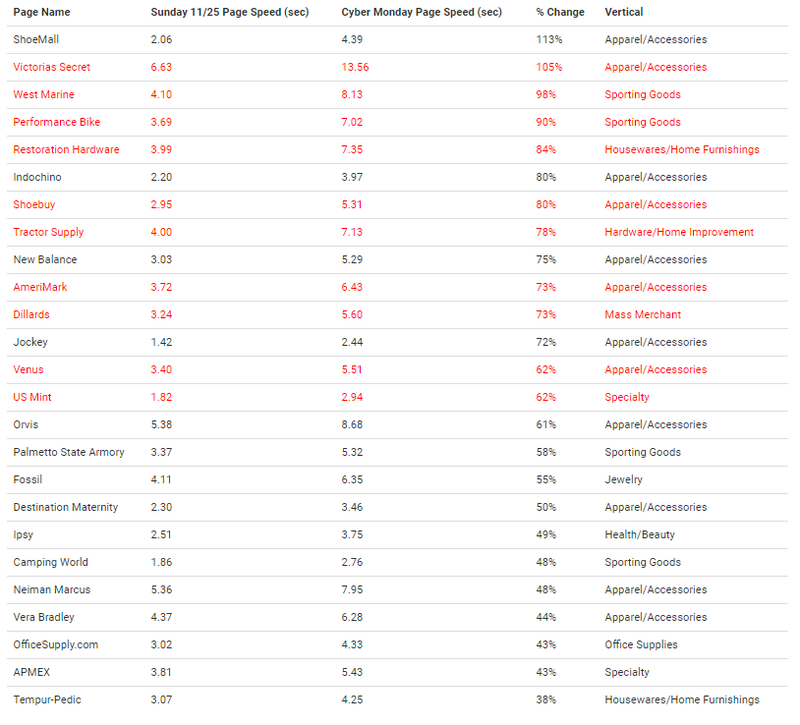 The sites in red indicate those impacted by the IBM Digital Analytics outage on Cyber Monday. Should you have any questions, comments or concerns, please send me an email: josh@bluetriangle.com.